So the .xcodeproj file is inside the proj.mac folder. And my .cpp, .h files are in the Classes folder. 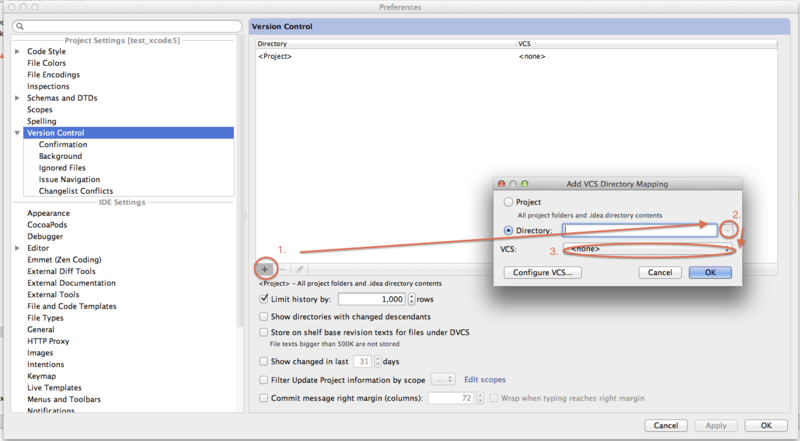 AppCode recognizes any changes to files in the proj.mac folder. So if I change Info.plist there, it will show up in the CVS "Changes" tool window. But if I edit anything in Classes, my source files that I care the most about, AppCode does not recognize this as modified SVN files. This does work fine in XCode. How can I get AppCode to recognize these files as being in SVN? In case AppCode didn't map directories of your project to the svn correctly you can configure them manually via Preferences | Version Control. Perfect, that fixed it. Thank you!